If you are a blogger then one of the ‘annoying’ tasks that pops up is finding quality images to go with your post. Images are important for every blog post – if you don’t have an image it can really detract and won’t be anywhere near as inviting to your readers. 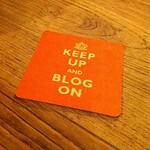 It just seems to be part of human nature that a blog post with a nice image will do much better than without the image. Better in what way? Views, engagement, social media sharing, links etc. So if you are looking for images under a Creative Commons license, ie images you can use if you attribute correctly – try the following. Really, the Flickr tool is the most usable and has a vast amount of images. Do you have any good Creative Commons image sources to share with us? Please let us know.